← London 2012, Women’s Competition: A Look Back Part Two. The dust has settled on a hugely entertaining and keenly contested Olympic Hockey Tournament. There were some wonderful technical skills on display and some exciting, close-fought matches. This bodes well for the game and its global image. Everything seems to be rosy in the garden. Everything, that is, except the video referral system. Apart from Barry Davies and Sean Kerly’s commentary, video referrals have been the most talked about topic among the hockey-watching public this past few weeks. Video referrals were used at the Beijing games in 2008, although were only accessible by umpires. The team referral system has been a fixture in the European Hockey League, (hockey’s equivalent to the UEFA Champions League) since its inception. It is therefore understandable that the International Hockey Federation (FIH) would want to use the system at the Olympics. Firstly, it is important to note that for all the talk of the problems caused by this system, the umpires, with the help of the video officials, have got the vast majority of decisions correct. Problems have arisen from factors outside of the actual decision-making, of which more later. The EHL has used referrals since 2007/08, and nowadays virtually every major international tournament uses them in one form or another. It is commendable that the FIH wishes to continue to progress the sport and is prepared to try things out in order to make hockey better overall. 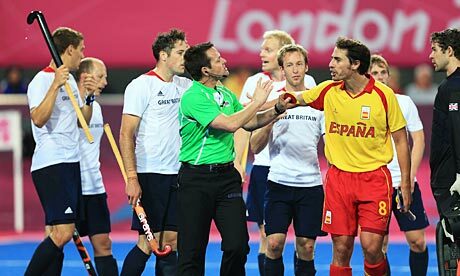 There are some that would question the wisdom of effectively trialling a system in a competition as prestigious as the Olympics but, given the teams are now used to having referrals in international hockey, I suspect the removal of these in order to “play it safe” would have been poorly received. Undoubtedly, there are benefits of having a referral system: In a high paced, high-pressured game in which the players are constantly evolving and improving, the speed at which things happen can make an umpire’s job almost impossible. With clever, subtle deflections in a crowded D, or lightening fast counterattacks, it would be all too easy for the umpire to miss something important. With the video referral in operation, they are able to get clarification and arrive at the correct outcome. It may take slightly longer, but I’m sure the players would rather that than an official forced into guessing or giving no decision at all. Often there are instances where the players know they have committed a foul or have been fouled, but the naked eye would be hard pushed to detect the infringement. In these instances, the umpire couldn’t possibly have made the correct decision. The plethora of angles available to the video umpire (seven different angles, HawkEye, zoom and slow motion) means that, with a little help, they make the right call. Furthermore, dissent is much less prevalent. 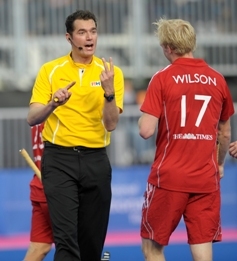 Players may initially debate a decision, but once the umpire asks if they wish to refer it, if they are trying it on, they quickly quieten down and leave the officials alone. I understand emotions run high, but any deterrent from berating umpires has got to be a good thing. A further problem is the language barrier between players and umpires, or the on field umpires and the video umpires. There were moments when either the question asked by the players was not communicated correctly, or it was misinterpreted somewhere along the line, causing the referral to be wasted. I definitely agree that a specific question is the way to go; otherwise you would get more of the “Hail Mary” referrals I have referenced above. “There was a foul somewhere in the last minute, please check” is no good to the umpires or the spectators. Whilst time taken should be a secondary concern as long as the correct decision is ultimately reached, a line must be drawn somewhere. Sports like rugby and cricket use the video referral system to great effect. In cricket, there are a large number of natural stoppages in the game, so referrals can be conducted during a break in play. Similarly, there are only a few variables that must be considered: did the fielder take the catch cleanly, was the ball going to hit the stumps, is the batsman in his ground or out? In most of those cases, it is either one or the other. Likewise, in rugby the question asked is usually “Is there a reason not to award the try?” This is a simple case of it is, or is not, a try. Referrals in rugby also occur during a natural break in the game. Unfortunately under the current system, the referrals in hockey are not always during a stoppage. In some cases, the game has to be stopped in order to hear them. Sometimes teams are missing the chance to refer because they have played on, still believing they have a chance to score, only to request bringing the game back some 30 or 40 seconds later when it is too late. There has to be a cut-off point or you run the risk of teams calling a referral when their opponent has started a counterattack, which is likely to cause further problems. Another problem, although one which is much less crucial, lies in what the crowd sees. A lot of the replays on the video screen inside the Riverbank Arena showed different incidents or different angles to the ones the Video Umpire was actually reviewing. This in turn, lead to confusion in the crowd amongst seasoned hockey watchers and new fans alike which was far from ideal. What are the solutions? First and foremost, it is important to ensure the players and coaches are educated before the tournament begins. I am sure this was done before the Olympics, however obviously something didn’t quite sink in. It is imperative that the players are not trying to get the officials to “go upstairs” for decisions they are unable to refer. Likewise players must understand and respect that once they have lost their referral, they cannot pressure the officials into calling for an umpire referral instead. With better education, seeing teams demanding a long corner instead of a 16, or claiming a foot outside the 23-metre line via referral, should be a thing of the past. Players also need to be given a definite timescale on when the opportunity to appeal has expired. The thinking at the moment seems to be “immediately after the incident.” Different umpires appear to have varying ideas of what constitutes “immediately.” Obviously with no defined timescale, it is understandable players are upset if the request is deemed to be too late. How can it be, when there is no definite cut-off? So as not to interrupt the flow of the game, you could implement a system where players can only appeal a decision that has already been given (when the game has stopped), although I suspect that would prove to be quite unpopular as many of the appeals were in order to gain penalty corners. 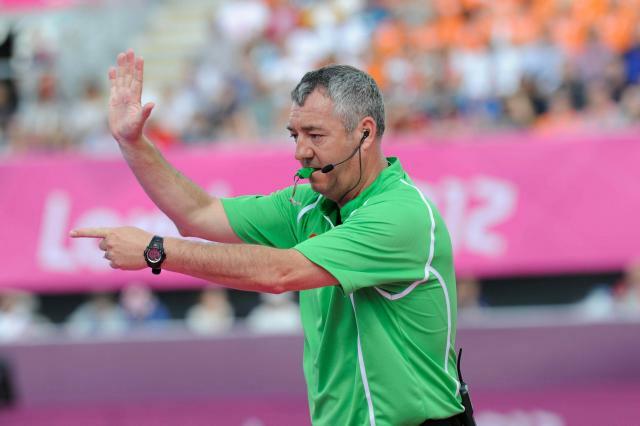 The language barrier is harder to tackle, as it is important to have neutral umpires for each game inevitably, there will be an issue with this from time to time. Perhaps the players themselves could speak directly to the video umpire rather than the on field umpire relaying their version of what they have just been asked. This should avoid any misinterpretation of second-hand information and there can be no blame apportioned to the officials if the wrong question is asked. The video umpire can also gain clarification from the player to ensure they are looking for the correct infringement. Otherwise the FIH has to, as far as possible team up umpires where at least one on-field umpire has a shared language with the video umpire. Apart from these, it is hard to see a solution to that problem. Similarly, I believe that once the players have a better understanding of what they can and can’t refer, the questions themselves will be asked in a much clearer and easy to understand fashion, making interpretation much more comfortable for all parties. In terms of what the crowd sees, the choice is simple: Don’t show any video replays of controversial incidents or, show the exact same feed as the one being used by the video umpire. It may also be possible for the stadium announcer to have access to the conversations between the umpires, so that he or she can explain to the crowd what’s going on. In all honesty, the problems with the referral system are far outweighed by the benefits. There are inevitably going to be mistakes here and there, because human error is a natural occurrence in any walk of life. Fans, players and coaches alike must accept that the system is not likely to be perfect, but at present the officials make a lot of good decisions and a lot that are backed up by the video evidence. With a slight tweak in certain areas, and with clearer definitions included in the current rules, I see no reason why the system can’t become even more effective in the coming months and years. What do you think? Let The Top of the D know your thoughts, buy leaving a comment below or by Tweeting me @TheTopoftheD. If you would like a break down of the ins and outs of the video referral rules here is an article from the FIH Website. This entry was posted in Features, London 2012 Men, London 2012 Women. Bookmark the permalink. 2 Responses to London 2012: Video Nasty? I watched some of the TeamGB matches on TV, but don’t remember any video referrals happening. Mind you, I was only half-watching them! I broadly favour the use of video replays in sport, and the couple of times I’ve seen it used it in the EHL it seems to work okay for the most part. Essentially what I was getting at in the article is that the system is far from perfect but the game is better for having it in place.